An overview of how to make your LibGuide ADA compliant, with links to resources. Use this tool to easily review your site for ADA compliance problems and required changes. The Americans with Disabilities Act (ADA) stipulates that web content should be designed to take into account the needs of people with disabilities. The act "guarantees that people with disabilities have the same opportunities as everyone else to participate in the mainstream of American life" (ADA.gov). As part of our efforts to make content produced by the university ADA compliant, we need to ensure that our web resources can be easily accessed. All non-text elements shall have a text equivalent (e.g. provide corresponding "alt" text for image elements). Content shall be designed so all information conveyed with color is also discernible without colors. Graphic elements excluded (with alt attribute requirement). All data in tables shall have row and column headers identified. ATSU Learning & Disabilities Resources offers aid for students with disabilities. They offer support by "determining eligibility and providing necessary academic adjustments, while maintaining the standards of the University. Academic adjustments are provided for qualified students with disabilities, to ensure that academic requirements do not have discriminating effects" (Learning & Disability Resources). Students who wish to learn more about rights for students with disabilities in higher education can access this PDF published by "Disability Rights California" here or from the Higher Education Compliance Alliance. Camtasia offers Closed Captioning that you can add as you produce your video. For older videos you can re-load your mp4 into Camtasia and add the captions. ETDC information on how to edit videos in Camtasia. Articulate offers the ability to publish and include your PowerPoint notes. Your notes can accompany your interactive presentation, making it more accessible. Articulate Storyline's 508 Accessibility Options. ETDC information on building content with Articulate Storyline. Blackboard offers "Blackboard Ally" that helps offer insight into the accessibility of digital course content and helps guide teachers to improve less accessible content. Blackboard is also built to recognize the Web Content Accessibility (WCAG) Guidelines 2.0. YouTube offers a free Closed Caption service. If you are already hosting your videos on YouTube you can add captions to existing videos. You have to load your video into YouTube before you can take advantage of the closed captions. 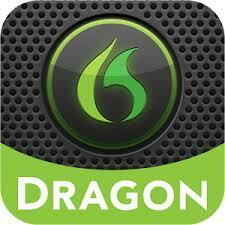 Dragon Dictation is both a screen reader and a speech-to-text software. It is one of the more common accessibility-focused screen readers.